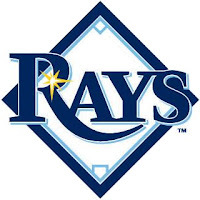 The GCL Rays broke their streak of .500 weeks by going 4-2 on the week and inching closer to first place in the division. They are now in second place in the GCL South Division with a 19-17 record, 1 game back from the leading Red Sox. Matt Bush and Matt Fields joined the squad this week on rehab assignments. Transactions: Shane Minks promoted to Princeton (7/26/10). Matt Fields added to roster for rehab assignment (7/26/10). Matt Bush added to roster for rehab assignment (7/29/10). Parker Markel added to roster (7/31/10). Justin Hall promoted to Princeton (7/31/10). The Week Ahead: 8/1/10: Day Off. 8/2/10: at GCL Twins (16-20). 8/3/10: vs GCL Twins (16-20). 8/4/10: at GCL Red Sox (20-16). 8/5/10: vs GCL Red Sox (20-16). 8/6/10: vs GCL Orioles (17-19). 8/7/10: at GCL Orioles (17-19).